Our Goal is Simple—Help You Achieve Yours! 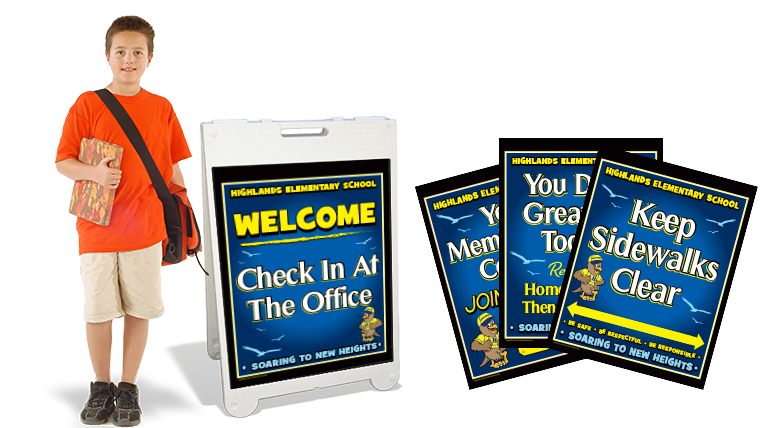 Outfitting your school with eye-catching messaging tools to support and reinforce your PBIS program has never been easier. Our featured packages are designed to provide maximum impact and value for any budget. 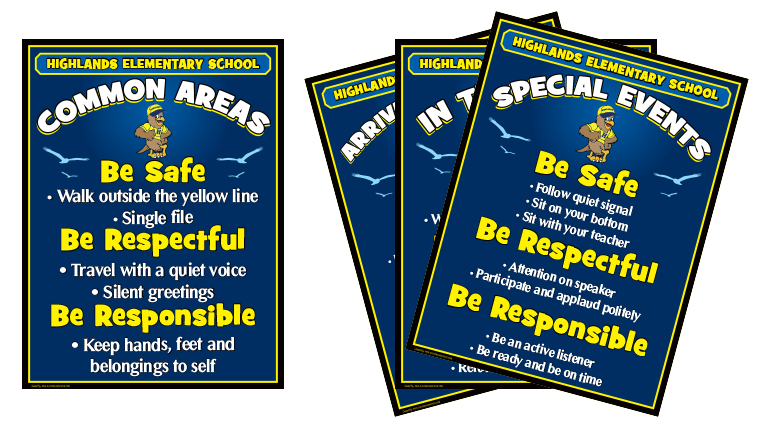 including hallways, bus areas, and your cafeteria to support behavior expectations by setting. 10 bathroom and 5 library, for a total of 50 Posterboards. printed on your new poster boards emailed in a word document. settings throughout your campus, including classrooms and other common areas. 15 bathroom, 10 library, 10 computer lab, 10 core values and 5 office, for a total of 100 Placards. printed on your new placards emailed in a word document. hallway on your campus! Includes double-sided adhesives. We will need a breakdown of all street sign names emailed in a word document. and reminders to students, parents and visitors where and when you need it the most. Welcome / Exit messages, or special event instructions. 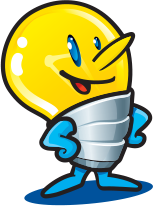 You can request all, or a portion, of an insert to be left “blank” for writing in your own custom, timely information or instructions! We will need a breakdown of copy to be printed on your new 32 A-Frame inserts emailed in a word document. 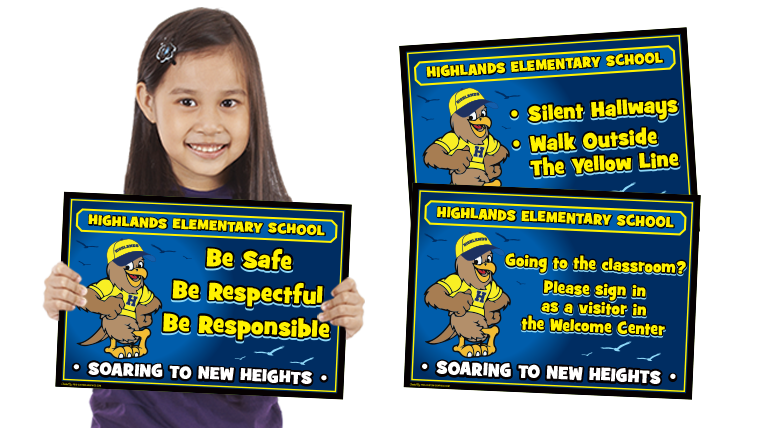 large format vinyl banners that promote your PBIS messages in an impactful way. 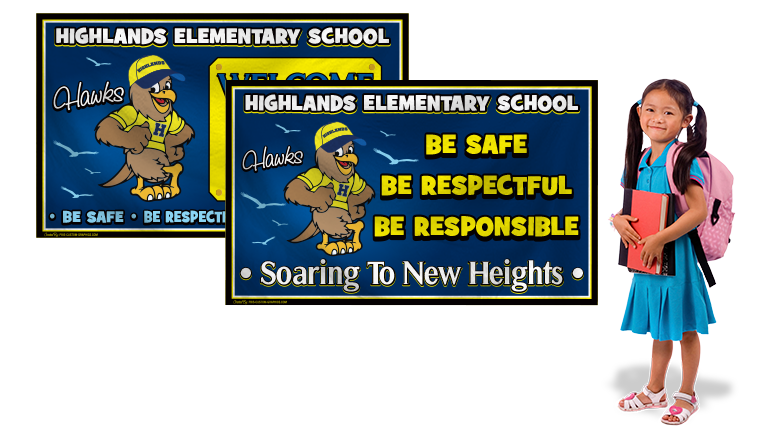 printed on your new wall banners emailed in a word document. Do you have over-sized empty wall spaces on your campus? 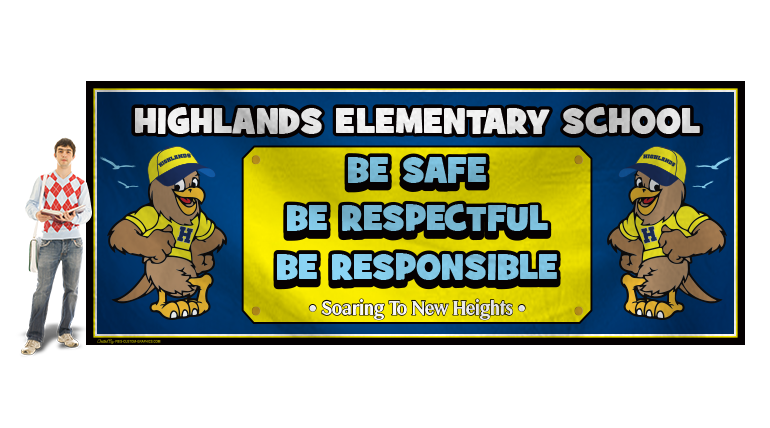 Think big with your PBIS values while showcasing school pride and student success. printed on your new jumbo banners emailed in a word document. Perfect for registration, open houses, and other special events. Made of high-quality polyester 600 denier fabric. 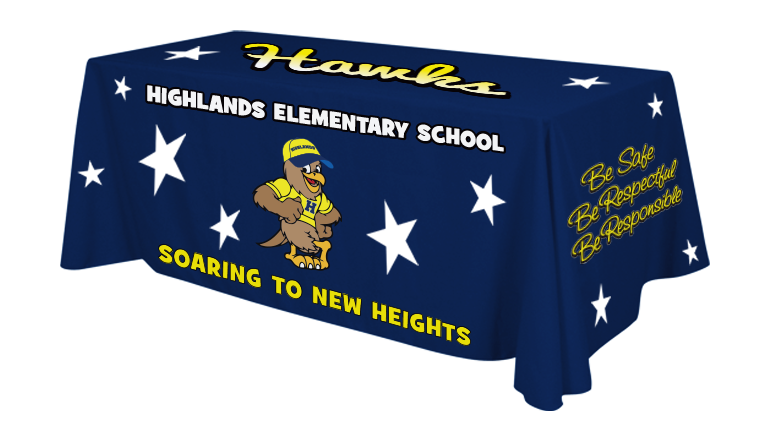 We will need all copy (top, front and sides) to be printed on your new table throw emailed in a word document. 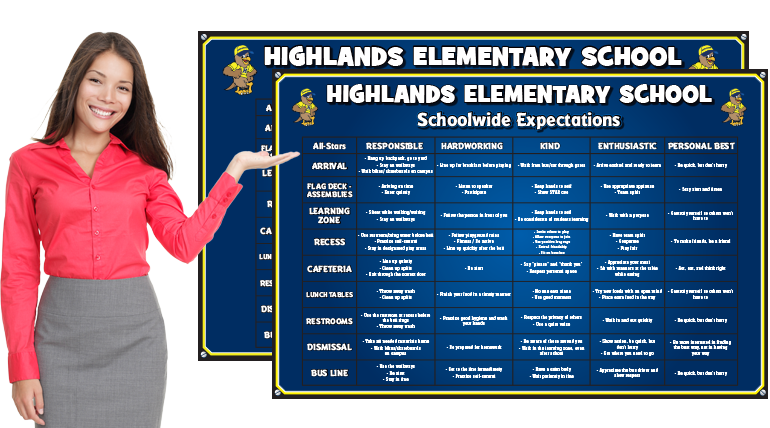 Move your PBIS matrix out of the handbook and onto your campus in a big way! Use as a centerpiece to your program and an eye-catching, informational wall hanging for all to see. 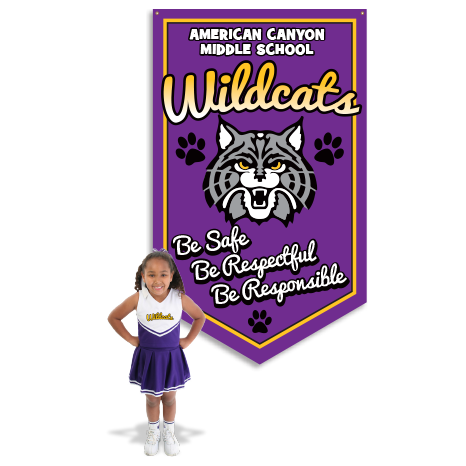 Printed on high-quality long lasting flexible vinyl sign material. We will need a copy of your matrix emailed in a word document. 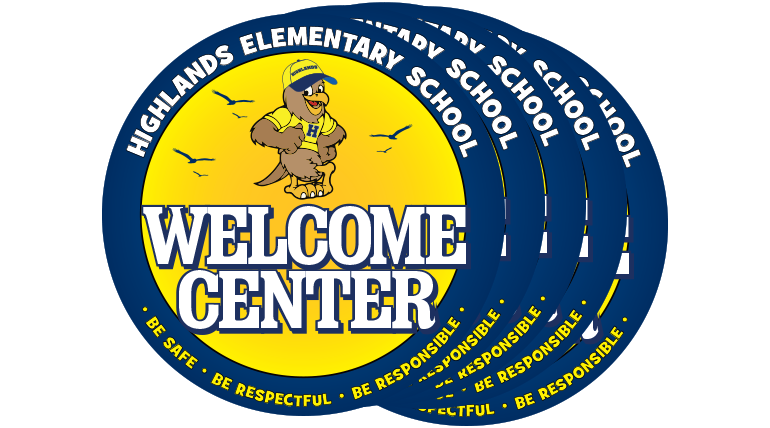 locations throughout your school such as “Welcome Center”, “Media Center”, “Cafeteria”, Etc. printed on your six new locator signs emailed in a word document. This eye-catching design is perfect for entry-ways, media centers and gymnasiums. 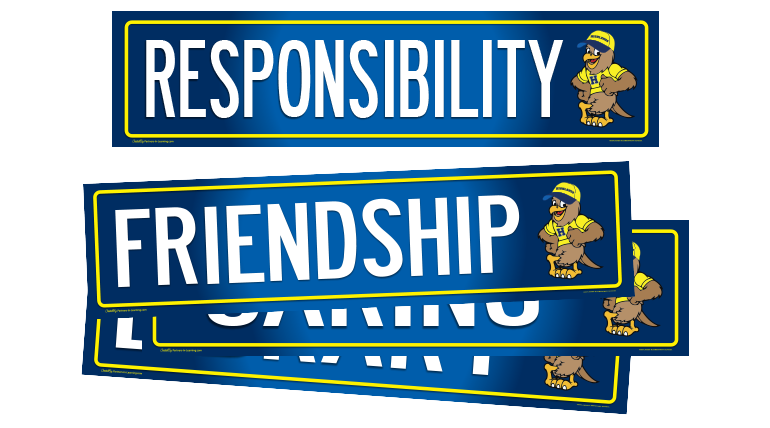 Combine core values with school spirit slogans, mottos, or mission statements. Email desired text or banner copy in a word document. Interested in Any of Our Package? 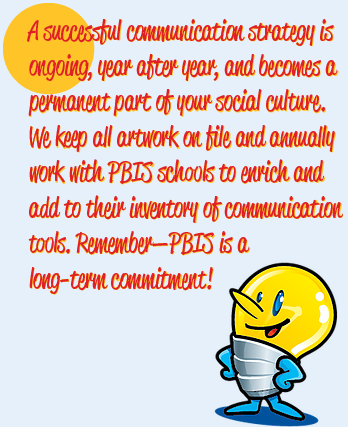 Let Us Customize Your PBIS Messaging Tools! Advantage PackagePremium PackagePlus PackageStart Up PackageCustomize a Package For Us!